Established in 2011, Cumbria Gateway based in Carlisle, provides user-led, person centred health and social care services within the substance and alcohol misuse field. It offers a unique supportive environment in which people can recover from mental health/addiction and develop a new future and their services include housing, training, volunteer opportunities and practical and emotional support to help people. 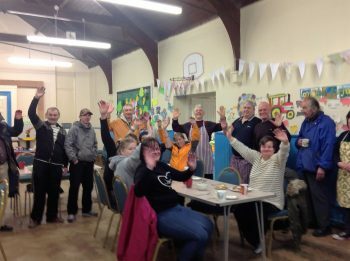 Funding was awarded towards the breakfast club from the Fryer Grassroots Grants Fund, which is aimed at the more chaotic user in the hope that peer mentors can reach out and inspire those that might be considering a new way of life. It has on average 26 regular attendees. Many of the service users are now qualified as peer mentors and volunteer for other organisations, with some finding employment. The breakfast club, which is held every Tuesday, is also the gateway to accessing additional support and has proved popular in showing people that they can make different lifestyle choices with help available if they need it. Cumbria Gateway supports the transition from a substance abuser to someone with the skills and confidence to take part in normal everyday life.